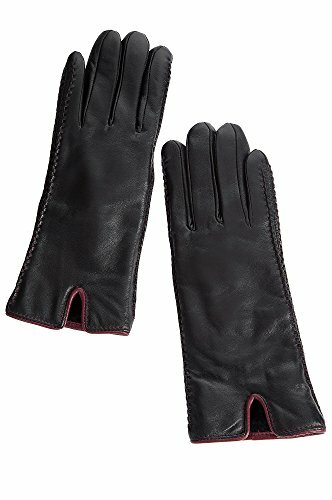 Feminine styling delivers the ultimate winter warmth in our Two-Tone Lambskin Leather Gloves. Perfect for driving, running errands, or evenings out, these elegant gloves boast the soft, supple finish of lambskin leather from Italy. And they're beautifully fashioned with smooth contrast piping at the wrist and raised double stitch along both sides, for a signature look that dresses up whatever you wear. On the inside, velvety shearling ensures cozy hands all winter long. Made in China.